Hello there! You’re tuned into Rhubarb Radio and you’re listening to WorldBeatUK. My name’s Glyn Phillips and over the next two hours I’ll be taking you on a journey to the outer reaches of global musicality. On the show tonight you’ll get to hear some fabulous acts from Senegal, Mali, the USA, Colombia, Ghana, Cuba, L’ile de Reunion, Belize, Jamaica, New Zealand, Ethiopia, Romania and the UK amongst others. In fact tonight’s show is all about WOMAD - the World of Music and Dance - which takes place in just over a week at Charlton Park, near Malmesbury in Gloucestershire, England. This amazing event is still probably the planet’s leading global festival of world music open to the general public. So, although I still have no idea of whether I’ll actually be able attend it this year, I’ve decided to dedicate the show tonight to Womad; in short every tune you hear from now on is by an artiste who will be appearing at this year’s Womad Festival! I can’t promise whether they will actually play these particular tracks but it should give you a taste of what to expect if you are lucky enough to go next week - and if you can’t, then you sit back and pretend you’re there (and save yourself a fortune into the bargain!). OK, first up I’m going to ease us into the groove with some garifuna soul from Belize. Now, Belize is a small country in Central America and amongst its accolades is that it has the second longest barrier reef in the world, is the northernmost country in Central America (remember folks, Mexico is technically in North America!) and is the only Central American country to have English as the official language. This tiny country - which is only 120 miles long and 68 miles wide - boasts a population of just 333, 200 people. It’s history is also different to its neighbours Mexico and Guatemala - who have deep Hispanic roots alongside their Mayan ancestry - since it was for many years a British Colony known as British Honduras, only gaining independence in 1973 and having a permanent British troop presence based there armed with vertical take-off Harrier Hawk jets to protect it from Guatemalan invasion until as recent as1994. 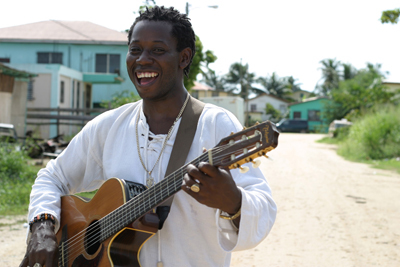 However, we’re really interested in its current musical contribution and for that we have to go to the Caribbean coastline and to the Garifuna communities of Belize. Belize has many different populations, but one of its smallest - making up only 4% - are the Garínagu (often known by the singular Garífuna) who are a community of mixed African, Carib and Arawak descent who speak and sing in a language descended from both Carib and Arawak. They can be found along much of Central America’s Caribbean coastline from Nicaragua and Honduras up to Guatemala and Belize. 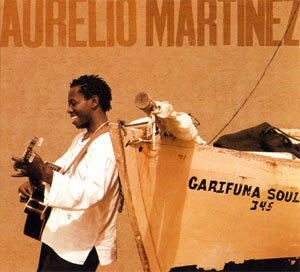 Yes, there you go, Aurelio Martinez from Belize. 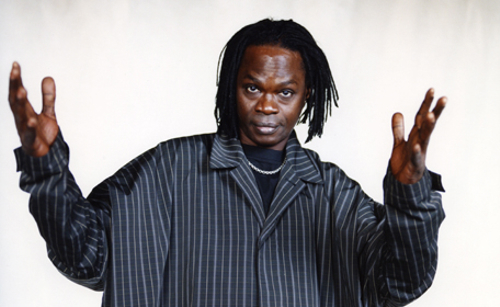 Now, I’ve got a bit of an African thing going on for the next few numbers and I’m going to kick this off with an old track by Senegal’s Baaba Maal - one of the biggest names in African music for Europeans especially during the 1990s. It’s a wonderfully summery piece called “Demgalan”. 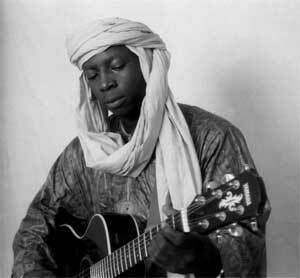 From Senegal, we move inland to Mali and to Vieux Farka Touré, the son of the late guitarist Ali Farka Toure. 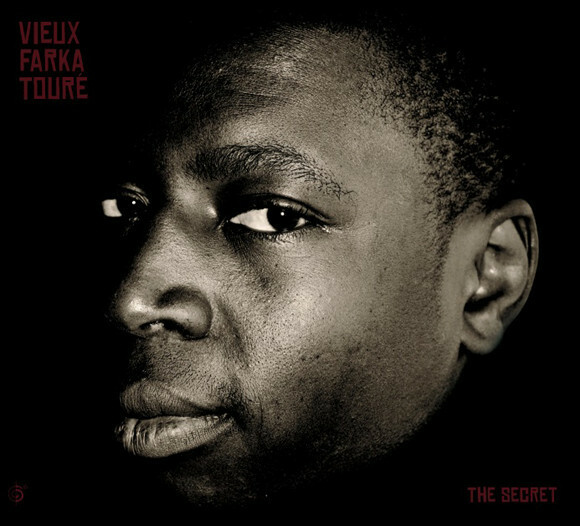 This is taken from his latest album - just released in May - called “The Secret” on the Six Degrees label. Let’s stay in Mali now and the wonderful singer and actress Fatoumata Diawara recently heard supporting AfroCubism and providing backing vocals on their album. 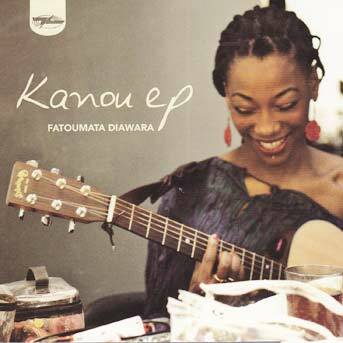 Here she is on a pre-release track from her forthcoming EP Kanou and this is the title track from that. Hmmm, very beautiful, calming music! Fatoumata Diawara there. We’re going to board a plane now to an island in the middle of the Indian Ocean with a very rich and vibrant mixture of cultures: Malagasy, Indian, African, European and Chinese. The L’isle de La Réunion is an island with a French Colonial past and indeed present since it is (like Guadeloupe and Martinique in the Caribbean) an official ‘departement’ of France. This island of 800,000 people is about 120 miles south of Mauritius and roughly the same size (under 30 miles wide by 40 long). The largest percentage of the population is mixed race to some degree or other and it’s from this Creole culture that the music of La Reunion predominantly derives. 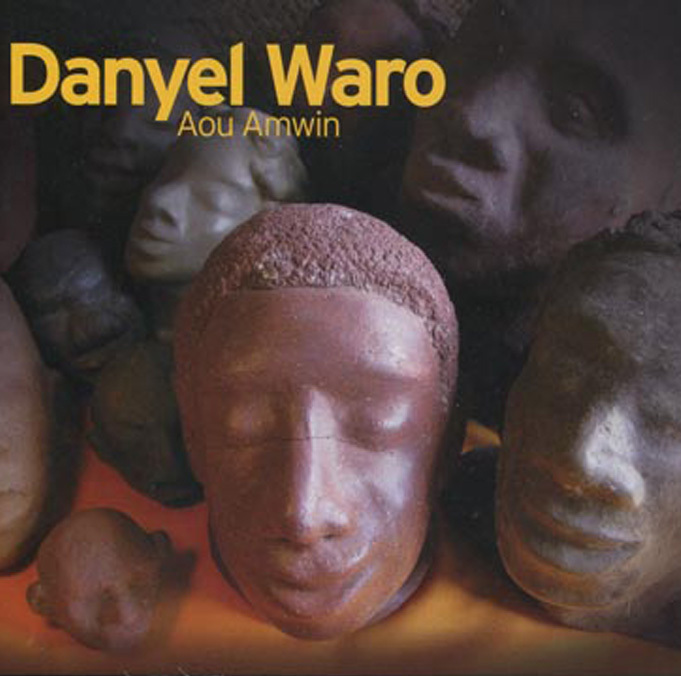 One of their most famous musicians is Danyel Waro, who is also a poet and activist - a tireless campaigner for the rights and cultures of Creole people. 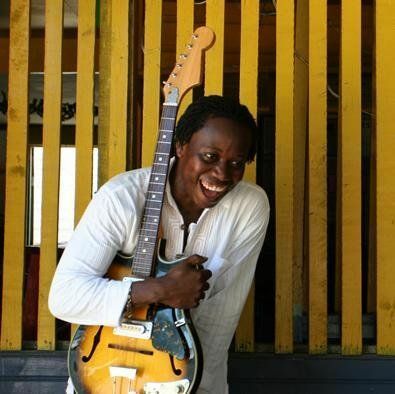 Danyel was last year awarded the 2010 Artist Award at the annual Womex World Music conference held in Copenhagen. Waro is also a pioneer and flagbearer for the indigenous music of La Reunion known as Maloya - a mix of African and Malagasy rhythms, that was once banned from being played in La Reunion. This is a track called “Veli”. If we board the Good Ship 'WorldBeatUK' and set sail south and eastwards from the Indian Ocean, we eventually pass by Australia and end up in New Zealand. This next band are called Pacific Curls - a trio of young women who aim to fuse European and Maori roots via ukulele, fiddle, Taonga Puoro guitar, alongside cajon, stompbox and kalimba and lyrics in Maori, Rotuman and English. 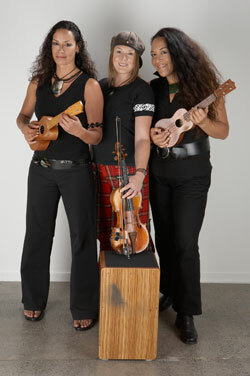 This ukulele-driven piece is called “Pacific People” from their last album "Te Kore". That was “Pacific People” by the Pacific Curls from New Zealand. So in true WorldBeatUK style let’s jet from one end of the earth to the other. Back to Blighty and to Britain’s rowdy folksters Bellowhead. 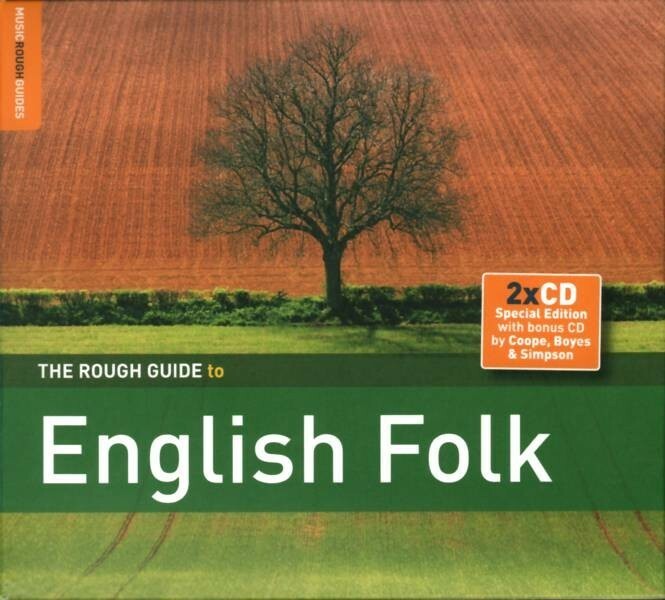 This is a track from the recently released compilation album “Rough Guide to English Folk” on the World Music Network label. Bellowhead would like to invite you to come on down to Yarmouth Town! Ha ha! Great bit of English folky fun there with some quasi-New Orleans brass band jazzy bits rolled into the mix! 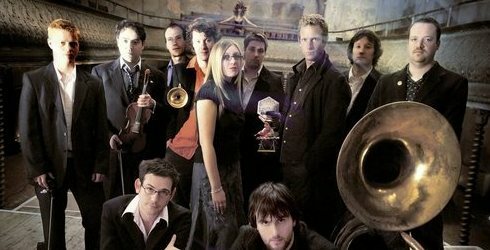 Bellowhead and “Yarmouth Town”. And now from the wonderfully exuberant to the absolutely sublime. 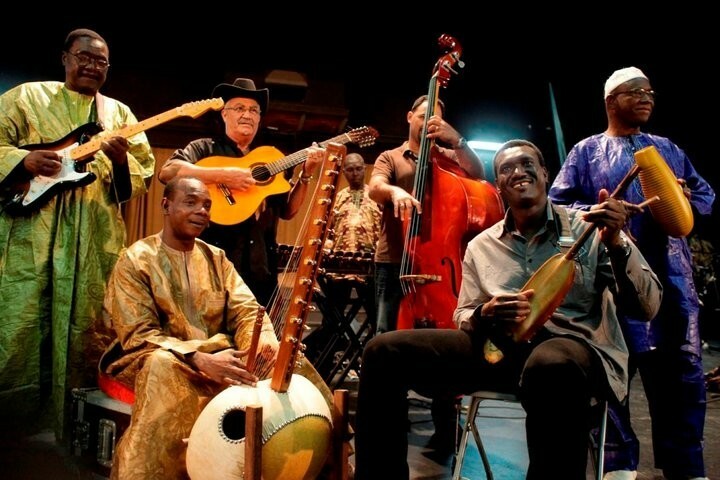 This is the amazing malicubano sound of the international superstar band AfroCubism formed out of living legends from both Mali and Cuba. This band was put together by the UK's very own World Circuit Records label. 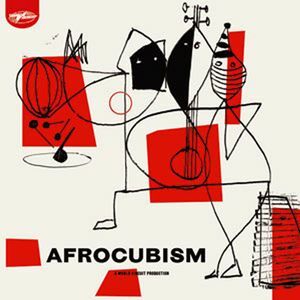 You can read my in-depth review of their debut album “Afro-Cubism” on the world music website (http://www.worldmusic.co.uk/afrocubism_afrocubism). These guys are going to be one of the BIG bands this year at Womad (and don’t forget that ALL of the bands I’m playing tonight on the show are appearing at this year’s WOMAD festival at Charlton Park next week). This is my favourite track off what is an amazing album. 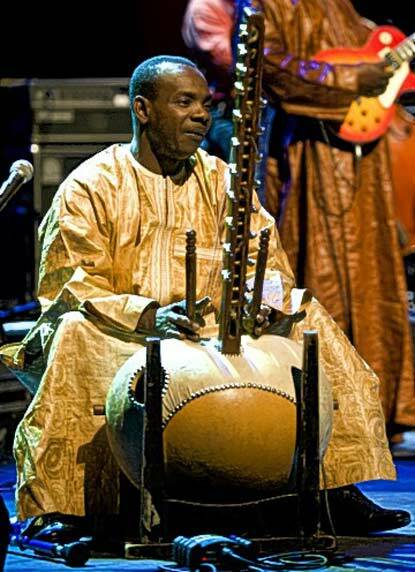 The track was written by the Malian Kora maestro Toumani Diabate and it’s called “Jarabi”. Now that’s the kind of band you’d expect at a world music festival - but maybe this next one raised a few eyebrows when they were announced. 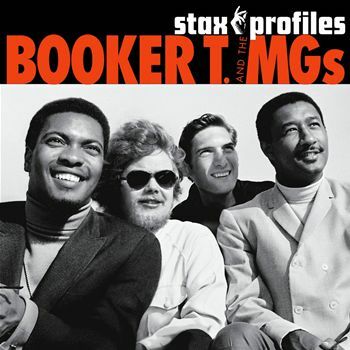 Booker T and the MGs are some of the great survivors of the 60s and 70s with numerous hits to their credit and even more amazing seeing as their speciality was instrumentals. The longevity, popularity and sheer funkiness of their cuts is high testimony indeed to their ineffable grooves. This is the hipswinging hit “Hip Hug Her” - here given a tasty remix by Danny Massure! You’re listening to WorldBeatUK - the two hour world music radio show right here on Rhubarb Radio, transmitting from The Custard Factory in Digbeth in the heart of Birmingham in the heart of England! My name’s Glyn Phillips and don’t forget tonight’s WorldBeatUK is given over to featuring bands that will be appearing at next week’s Womad Festival at Charlton Park, near Malmesbury. 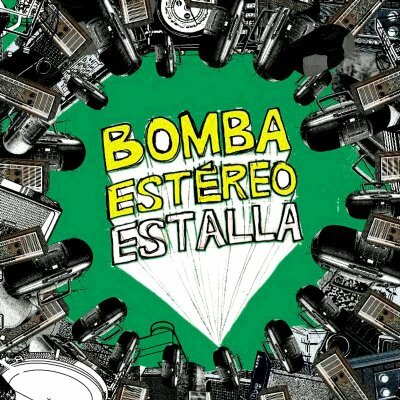 You were just listening to the Electro-Cumbiaton sounds of Colombia’s Bomba Estereo - a feisty young band that mix indigenous cumbia with electronica and a vivacious punk attitude when seen live - and a track called “Cosita Rica”. Next up is a track and a sound to die for!! 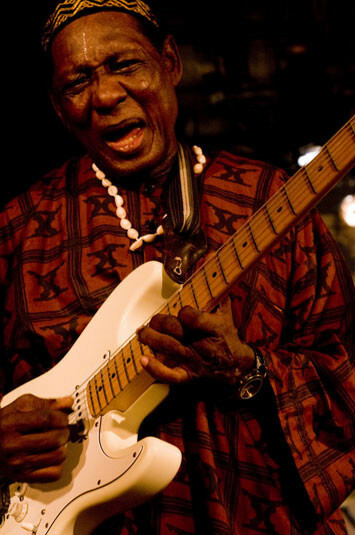 One of the great unsung pioneers of Highlife and Afrobeat, belatedly getting his dues paid to him. 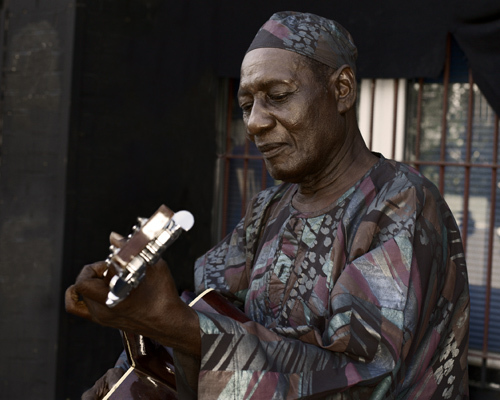 This is the amazing Mr Ebo Taylor of Ghana and a track from the Strut Records album “Life Stories - Highlife and Afrobeat Classics 1973-1980”. I said it’s a sound to die for - and appropriately enough it’s called “Heaven”! I first came across the next band a few years back and they blew me away. 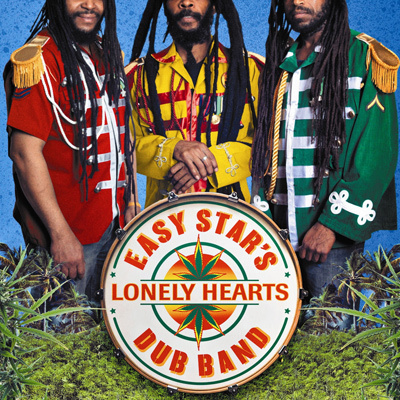 They have up to now specialised in taking classic albums and re-doing them dub-style. What’s special about them is the conceptualisation of how they approach each of these revered albums and the amazing attention to detail in the execution of them. I first heard their version of the Pink Floyd classic, renamed as the "Dub Side of the Moon" and then Radiohead’s “OK Computer” redubbed (sorry for the rather obvious pun there!) as "Radiodread". Yes, yes, the Easy Star All-Stars and “Lucy In The Sky With Diamonds” from the “Lonely Hearts Dub Band” album. Incidentally they’ve also released a remix version of their first album called “Dubber Side of the Moon” last year and this year should have released their first album of original tunes called “First Light”. 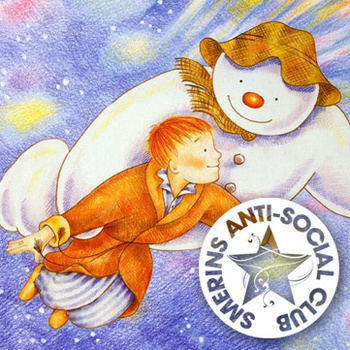 OK, since we were up in the sky with Lucy and her diamonds just now, it seems appropriate to play this next track: “Walking In the Air” - and, no, there’s not even a hint of Aled Jones about it! Yes, that was Britain’s very own Smerins Anti-Social Club and their ska-tastic version of “Walking In The Air”!! Love that - and not a snowman in sight . 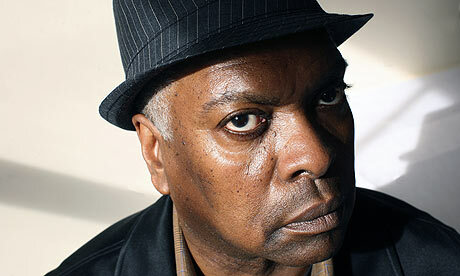 . .
And whilst we’re on this ska and reggae tip here’s a MONSTER tune! This one gets me every time I play it. Definitely my hot hit for Womad this year. 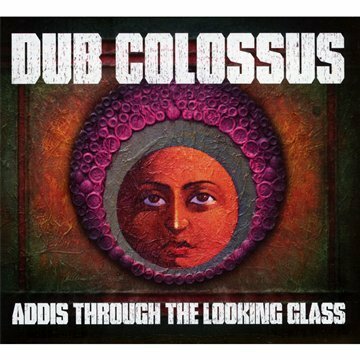 The most excellent Anglo-Ethiopian band Dub Colossus and an amazing Ethiopian dub version of Althea & Donna’s brilliant tune “Uptown Top Ranking”! Can’t praise it high enough! People, I tell you, turn up the volume and get skanking! Wow! Breathtaking! That was another insight into what’s making Ethiopia utterly irresistible these days. 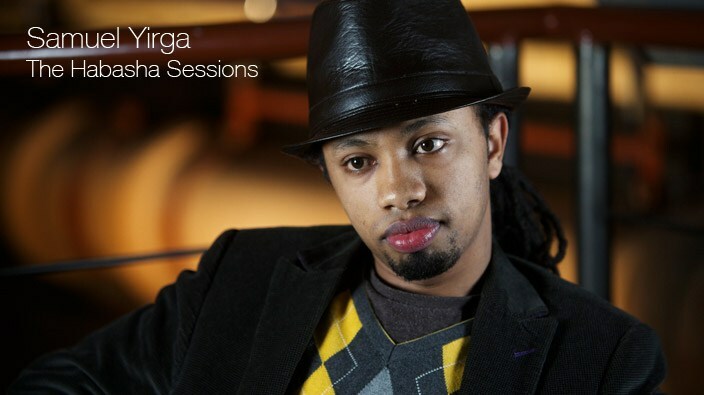 That was the young pianist Samuel Yirga (who was also on the previous track by Dub Colossus) and a tune called “Habasha Diaspora” (the Addis Piano mix) from an as yet unreleased album due out later this year. Keep an ear out for that: Samuel Yirga. Ok, we haven’t had much Balkanic music recently on the show - so let’s change that. First of all here’s a UK based band made up from an Argentine, a Portuguese and three Italians. They mix up balkan, latin, jazz, punk and well, to be honest, pretty much anything they can get their hands on! Confused? Don’t worry, just let the music get inside you. I saw these guys a few weeks ago at the HOME Festival in Devon - and they are a truly magic band to see live - don’t miss them at Womad this year if you can. Appropriately enough they are called Alejandro and the Magic Tombolinos and this is a tune called “Vera Cocek” from their album "Full Attack with Sudden Defences". Over to the one of the major repositories of European gypsy culture, Romania. 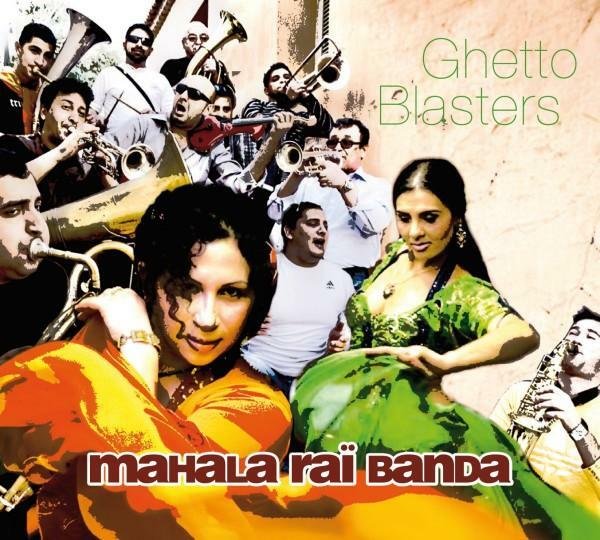 This is the Mahala Rai Banda and a track called “Hora Din Mahala”. At this point I should shout out some linguistically appropriate exhortation for all of you to dance, but here my knowledge of Romania ends, so shout out whatever you want to and just jiggle, bounce and shake your bits to heart’s content! 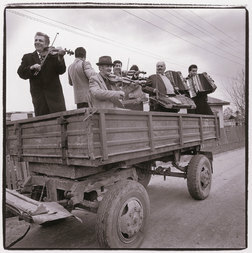 That was Taraf de Haïdouks also from Romania and a track called "O Tsigan Ave o Casa" - which translates as “A Gypsy Had A House”, from the album “Band of Gypsies”. OK that’s it - we’re at the end of the show and so I want to thank all of you for listening in to this WOMAD Special - remember every band you’ve heard tonight is appearing at Womad Festival in Charlton Park, next week. For a full list of all the tracks I’ve played tonight and all previous weeks please go to www.worldmusic.co.uk/radio and you’ll find all the info you need. And to finish the UK’s own Jazz Jamaica and one of my favourite tracks of theirs. 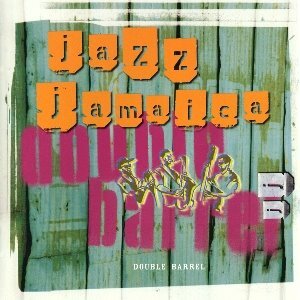 From the 1998 album “Double Barrel” this is their remake of the old Skatalites groover “Confucious”.